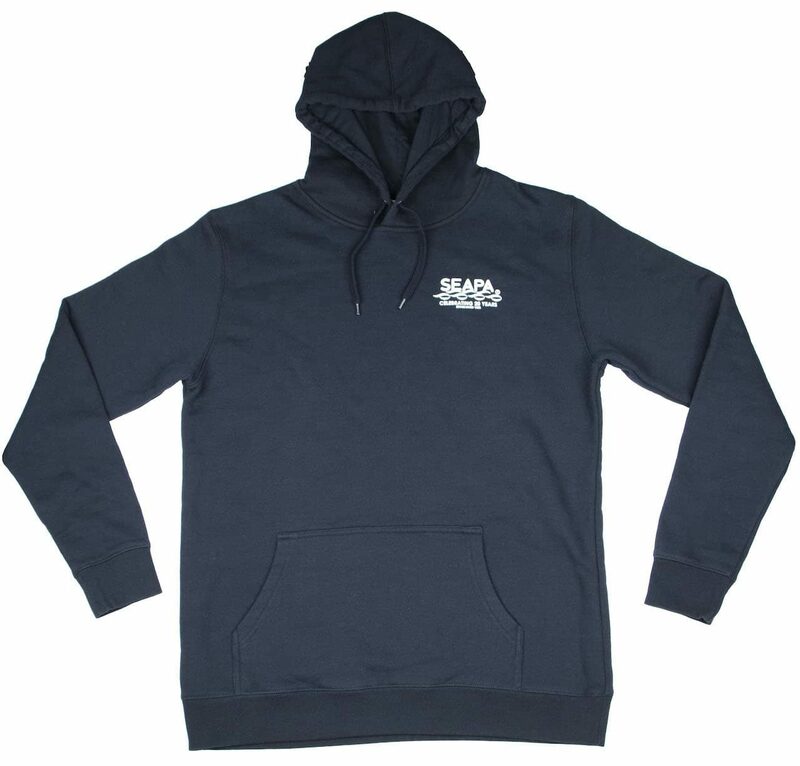 Our 20th anniversary hoodie. 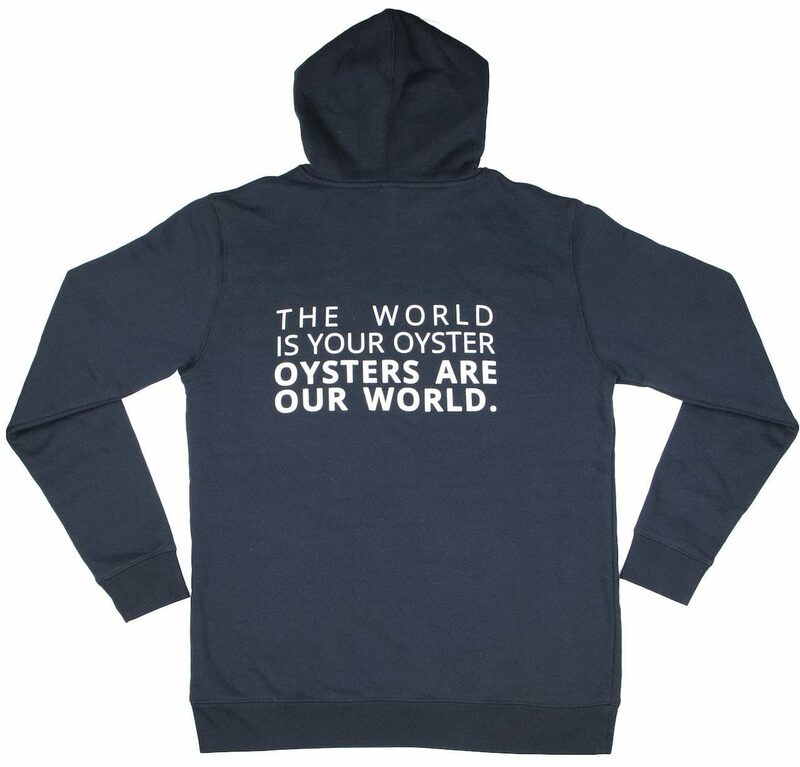 Logo on the front and 'world is your oyster' text on the back. Message us via the contact form with your size and details.